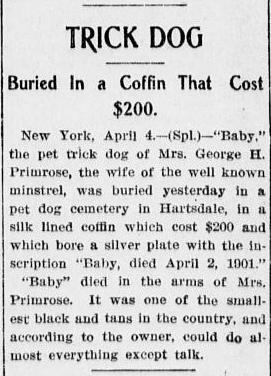 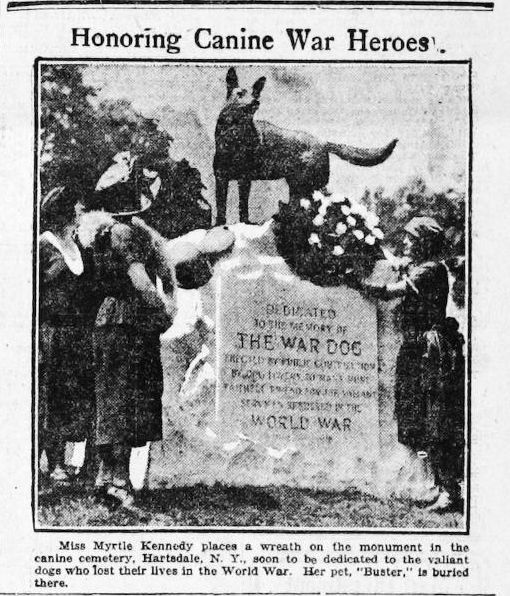 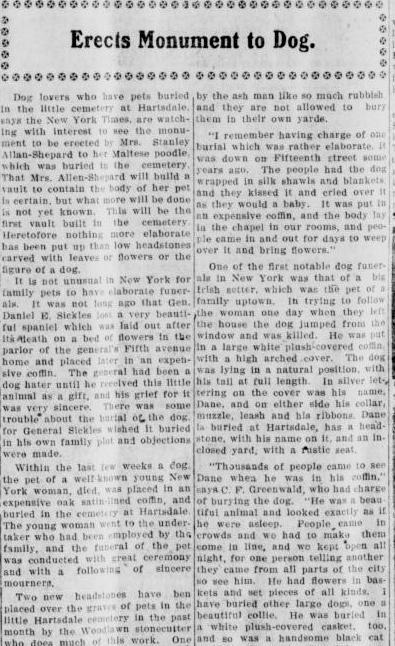 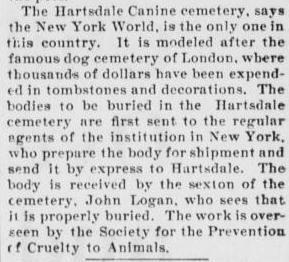 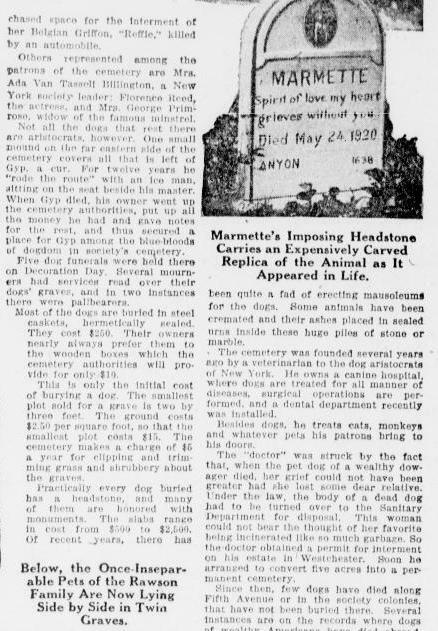 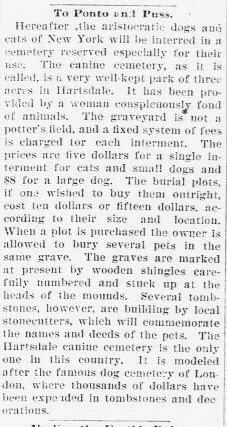 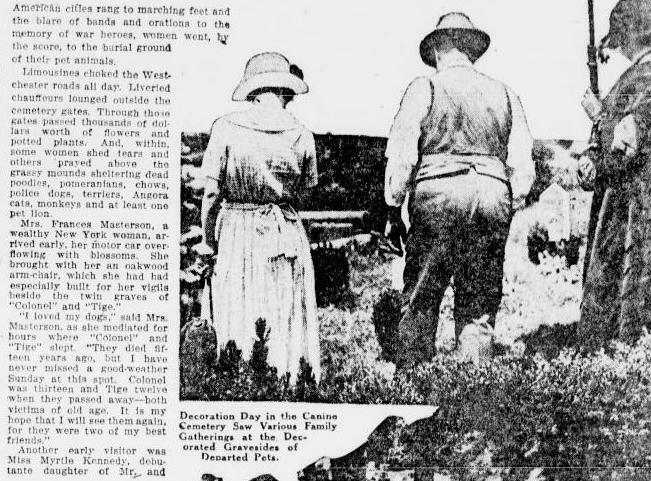 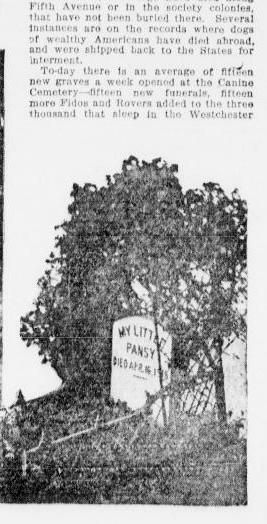 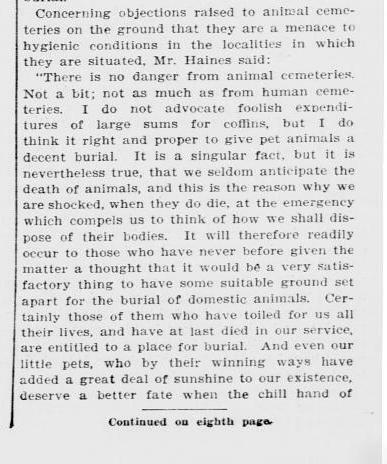 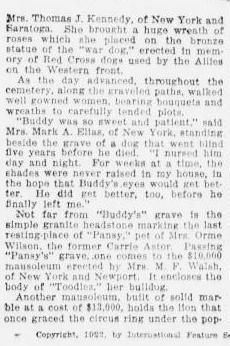 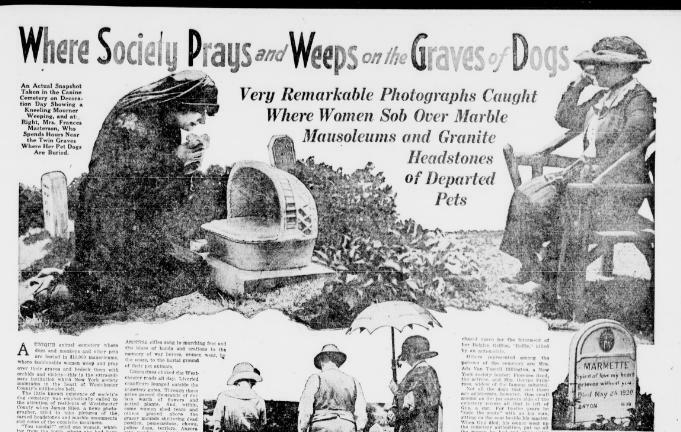 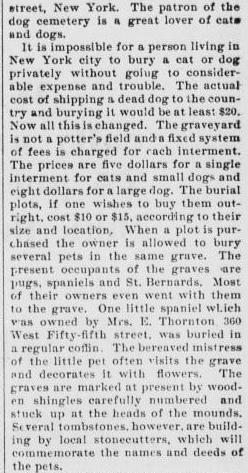 I’ve not had the pleasure of personally visiting Hartsdale Pet Cemetery in Hartsdale, New York, but it looks like a beautiful place with a fascinating history. 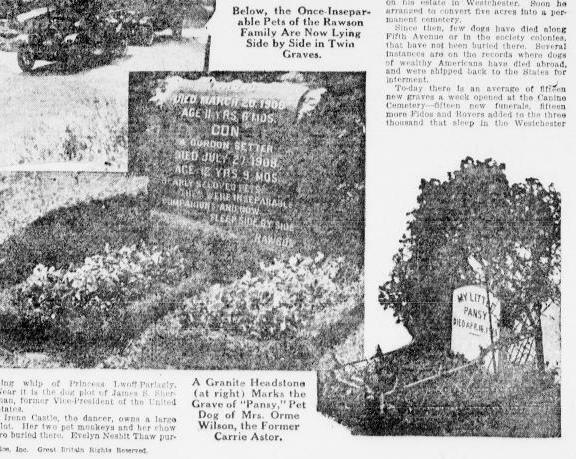 After seeing photos from Bess Lovejoy and Allison C. Meier‘s recent trip to the grounds I remembered a few articles I saved about Hartsdale earlier in the year. 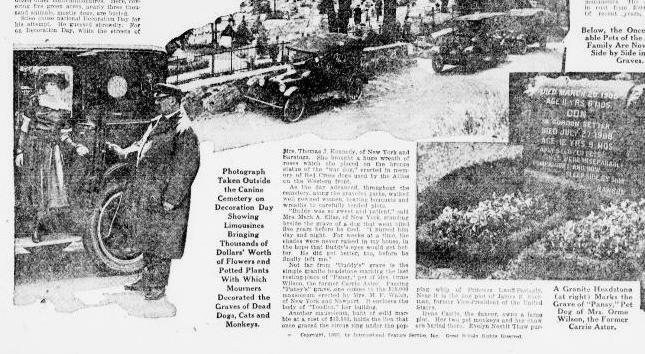 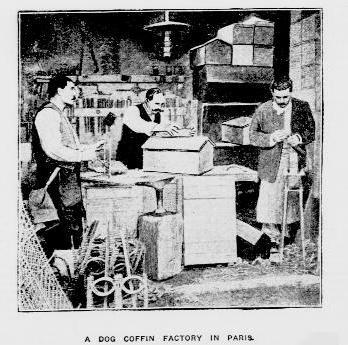 In the spirit of cleaning up my “hoard” of clippings, here are a few pieces with some historical background and images from the olden days (in no particular order). 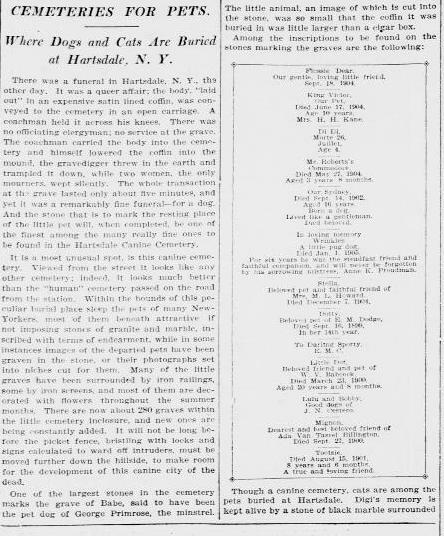 This is (hopefully) an easier-to-read version of the epitaphs from above.